How Exactly Do They Know Those Electric Car Batteries Will Last? No one can know, with absolute certainty, how electric vehicles’ batteries will perform over the long haul. But manufacturers like Chevy, whose Volt hits streets soon, subject their power cells to all manner of torture to find out. Technology Review recently noted that Toyota, for one, views electric cars as “niche,” favoring hybrids instead–in part because “no one knows how [lithium-ion battery technology] will perform over the life of the vehicles.” This set us to wondering: Given the relative novelty of electric cars and their batteries, how is it that others have confidence in the technology where Toyota apparently is hesitant? Strictly speaking, it’s true that know one can know how the new batteries will perform over the long haul. “We haven’t had eight years of testing,” Rob Peterson, a spokesman for Chevy, tells Fast Company. Chevy’s hotly anticipated Volt is scheduled to hit streets in the coming days. Nevertheless, a few things make Chevy and others highly confident the EV battery life will not be the limiting factor in the acceptance of the vehicles. 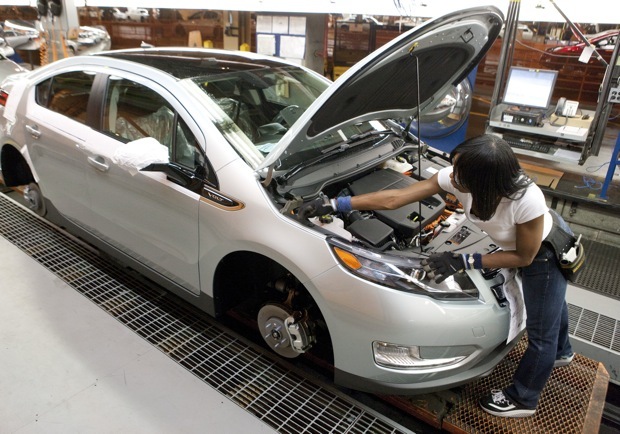 Chevy, as well as Coda Automotive and others, put their batteries through rigorous testing in the lab. On October 31st, 2007, says Peterson, Chevy received its first battery in the lab. Since then, that battery–and soon after, others like it–has been running an insane marathon. “We take the batteries, put them into climatic chambers, run them in 10 degrees below zero, then all the way up to 100 degrees–extreme highs and lows,” Peterson explains to Fast Company. “We charge them and discharge them just like an automobile would.” This has been going on for three years, and while that’s not the lifetime of a car, it’s enough to enable its engineers to extrapolate a pretty clear picture of how the battery should function. “Our battery lab runs 24/7; we have batteries perpetually on test,” Peterson says. The testing has given Chevy the confidence to offer an eight-year, 100,000-mile warranty on its battery. Customers “won’t have any costs related to replace a battery for that period of time,” says Peterson. Nissan and Coda have identical warranties. “We wouldn’t put a warranty on it if we didn’t have significant confidence in the technology,” he says.